Here is your perfect kit, clothing and equipment in case of a zombie invasion. 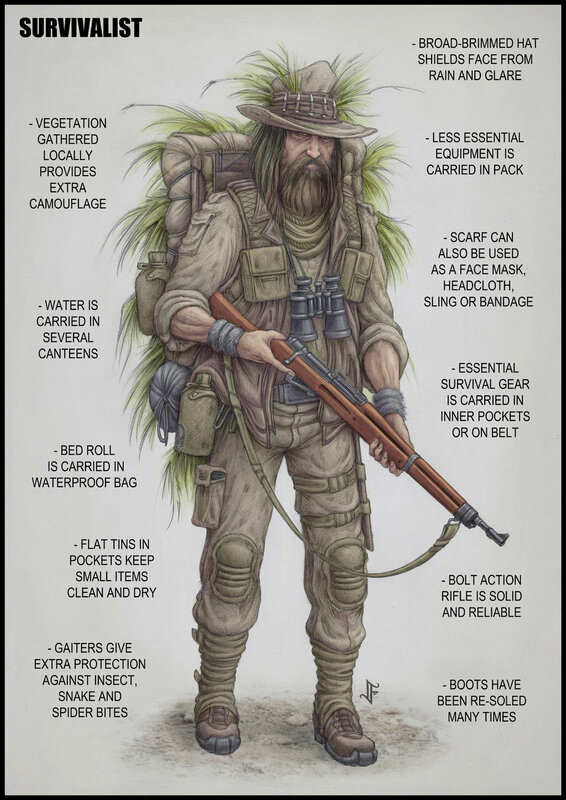 The Grizzly Adams attire can be useful in case of.... a civil war... or a doomsday apocalypse??? That's about the basic of any good ol' prepper / survivalist. and I always think about the worst case scenario. But I'm very far from being a full-fledged survivalist as the one you see on TV. 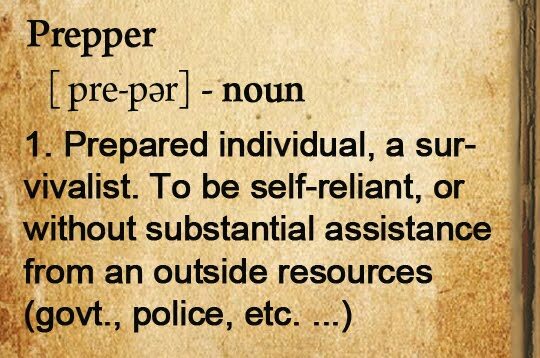 Do preppers aka survivalists need Money or they are above it?? You will always need Money in any worse case scenario. What you gonna do if you can't access an ATM or your bank account for an undetermined period of time? Will you rely on traditional survivalist stuff like gold bullions and silver coins or a much ligher thick wad of cash? Would you personally prefer to be paid in gold instead of cash in period of war?? 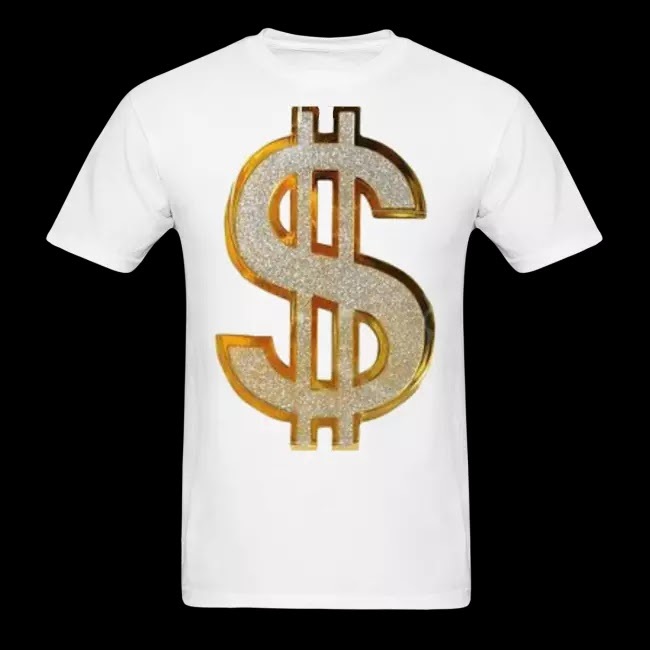 Talk about real Money! Paper Money!! Easy to carry, to trade and exchange. 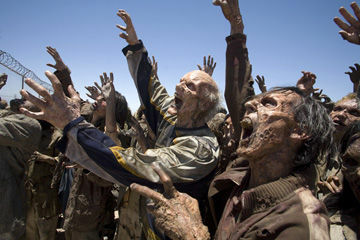 Will you need Money in case of a zombie invasion? You can't bribe a zombie. But fellow human civilians will accept "cash only"
in exchange of goods and services. CASH IS KING even for survivalists. Money will forever be a necessity for bribery and basic needs no matter what the catastrophe is. 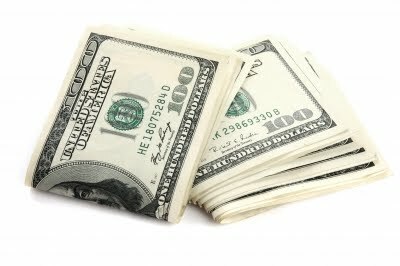 I've researched how much Cash Money you will need in your EDC kit and your SHTF hidden stash. 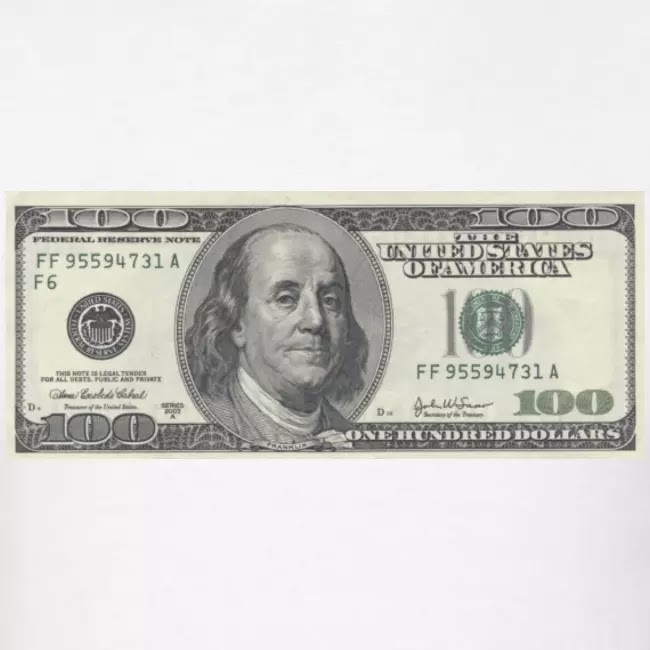 A regular suggestion from preppers is to always carry $200-$500 cash on yourself as part of your EDC kit. Paper and coin, different denominations, preferably small bills, 20 and below. This will cover cab rides, bribes, food, clothing, equipment, communications, and hotel/motel fees. Just enough to run around for a few days in case of bad luck or to go to your P.E.R.K. & PSK in a SHTF / TEOTWAWKI / WROL worse case scenario. I'm lost and you are too! Some definition before going any further. SHTF (Sh*t Hit The Fan) means some kind of catastrophic event like a natural disaster, a financial collapse, a terrorist attack or a civil war. TEOTWAWKI – The End Of The World As We Know It. WROL – Without Rule Of Law. A time when police, military, etc have lost control. A lawless situation. One survivalist suggested to have $500-$2000 in your SHTF stash. Or just enough to buy a plane ticket. Well... In my view, it's not enough in a worse case scenario situation. Minimum: One month worth of basic expenses (mortgage/rent, bills, call fuel and food) in cash. A plane ticket for each family member to relocate out of state or country. One month deposit + three more months worth of rent in potential foreign country. USD$1000 bribe per family member. Money to buy an OK used car. Anyway, in any case, apocalyptical disaster or not. The more financial ressources you have, the better your chances are and the less traumatic your experience will be. In my view, Paper Money will forever be the best thing to have. The more the better. Forget about gold bullions and silver, no one care about these dead weights in case of a cataclysm. That's it for our travel into the fairly interesting and paranoid world of the preppers and survivalists. For more informations on the subject you should consult the links below. Pocket change... How much do you carry?